Elegantly built this diamond ring is a great company for your solitaire engagement rings. 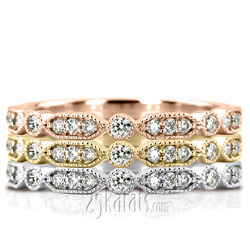 This diamond ring is a great option to wear as a wedding band or a stackable ring. 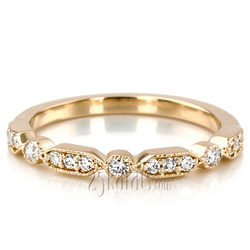 This ring set with 0.18 ct. t.w. 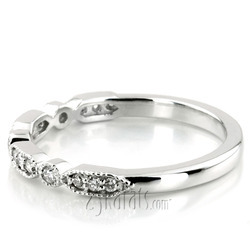 FG / VS2 / SI1 round cut diamonds. 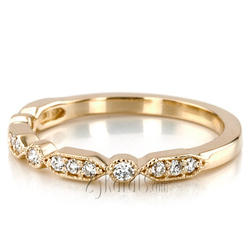 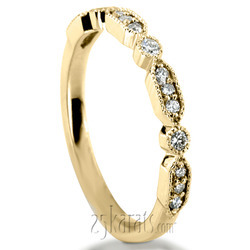 It is available in 14k, 18k, white or yellow gold, platinum and palladium. 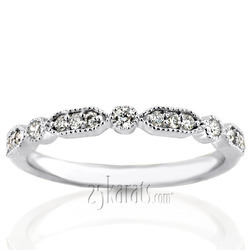 Carat Weight / Size (each): 0.01 ct. / 1.3 mm. 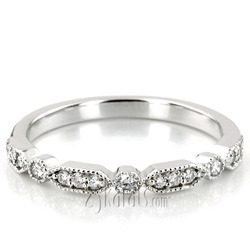 Carat Weight / Size (each): 0.02 ct. / 1.7 mm.